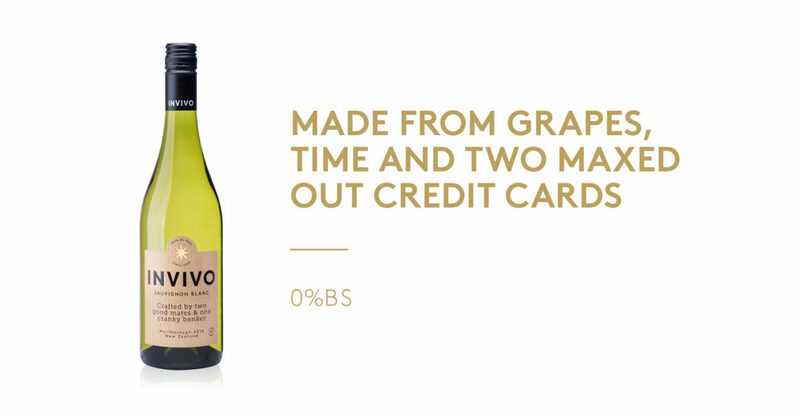 Invivo & Co’s story began when the two of us – Rob and Tim – got together in a bar in London to talk wine. How to make it better. How to cut through the fluff that the traditional wine companies seem to love so much. We always believed in the power of a strong brand, so we decided then and there to build a business that let us create one and have fun along the way. And you know what? It worked. Invivo & Co is one of New Zealand’s leading producers – we have won over 150 medals and many trophies since we launched in 2008. By focusing on our customers’ needs and on innovation, we have managed to grow our business rapidly. In 2015 we were New Zealand’s first equity crowdfunded wine company. After our second successful equity crowdfunding campaign in 2018, we now hold the title of the Southern Hemisphere’s largest crowdfunded company for any business, with over $4.7million raised! We recently moved into one of New Zealand’s oldest wineries, where we continue to turn some of the world’s best grapes into wine that’s picking up fans from Cork to New York. We’re delighted to announce a wine collaboration with New York icon Sarah Jessica Parker! Following months of discussions, time in New York and a wine tasting at SJP’s shoe boutique, we are over the moon that we can finally share this news with you and cannot wait to start working with the actor and entrepreneur. Read all about it in our News section and visit our new SJPxInvivo website for more information. Our collaboration with the international star and host of the UK’s number one chat show has been anything but the clichéd celebrity endorsement. Our first vintage in 2014 was uniquely produced by flying freshly picked Marlborough grapes to London to be crushed by Graham’s feet on the set of his show! The juice was then taken back to New Zealand and added to Graham’s wine… adding a touch of “Norton Hemisphere” magic to every bottle. From 14,000 bottles in 2014 to over 3m bottles this year, the wine range by Invivo & Co and Graham Norton has now expanded to include Rosé, Shiraz and Prosecco. But it’s not all about wine! In 2019 Invivo & Co and Graham Norton launched Graham Norton’s Own GiN – An Irish GiN that celebrates Graham’s West Cork Heritage, the beauty and flavours of his idyllic native county and his award-winning flair for blending perfection. Read all about it here.